Newspaper front pages may be labelled ‘tomorrow’s chip paper’ but they are documents of history in the making. They report on unforgettable events and the lives of famous people. They sum up the momentous days that have defined the past, from wars to peace accords, the greatest of human achievements to the most heinous of man’s crimes. But what of those stories that are less well-remembered - the dramatic, sensational, or simply eye-catching news that made headlines all those years ago, but which have since been relatively neglected? 100 Forgotten Headlines brings those remarkable events back to vivid life. 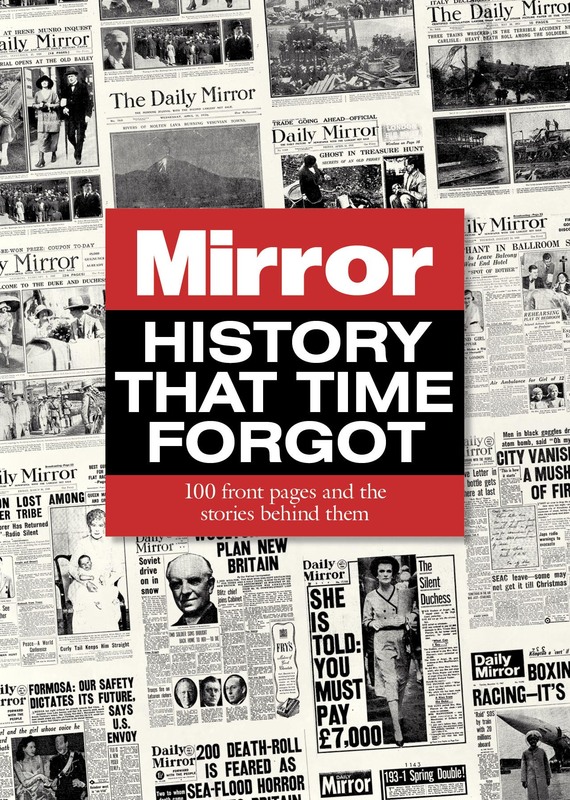 Through the pages of the Daily Mirror, it reveals nearly a century of reports that were genuinely big news at the time. Here are the less-heralded but no less compelling conflicts, famines, assassinations, and disasters, both natural and man-made. There are inspiring tales of scientific breakthroughs, feats of endurance, and individual achievements. There are terrible accidents, world-shattering events, and the exploits of famous people whose celebrity or notoriety has faded with the passing years. Here also are the curiosities, entertaining oddities and bizarre cases that grabbed readers’ attentions at the time but now seem like a lost world rooted in another age. Complete with superb photographs and fascinating background information that places each story in context, 100 Forgotten Headlines is an intriguing window into an unseen past.